Brew Methods | Small Batch Roasting Co.
let the coffee do the talking. 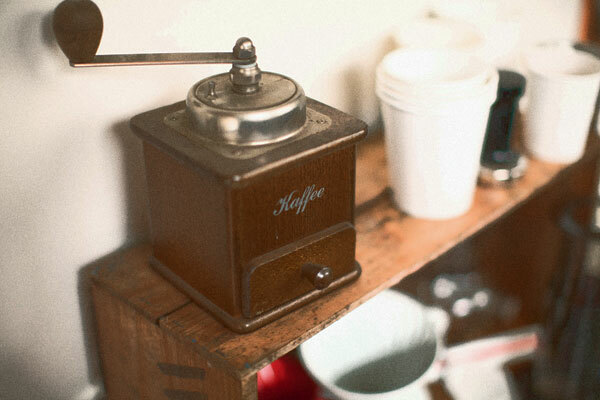 If brewing at home or the office without an espresso machine, you will first need a grinder. Freshly grinding your beans is the first step to getting better quality coffee. Ensure that it is a ‘burr’ grinder, not a ‘blade’ grinder that you should only use to grind spices. It is a great portable coffee brewer though. Clever enough for a CCD? Brewing with precision and control takes practice. Consistent pouring will ensure even water distribution through the coffee bed and even agitation of the coffee grounds. A thin spouted kettle will help you to achieve this, along with some fine motor skills. Spirals for pour overs and Clever Drippers and even saturation for AeroPresses and plungers. If you want to make a pour over for some friends, just multiply the ingredients by the number of people who are drinking. Our plunger recipe is already designed for friends, or someone thirsty, but you can reduce the amount to suit your plunger size. An AeroPress can only hold a maximum of 250mL, so our recipe is for a single serve, allowing some wiggle room. You can make an AeroPress for two by increasing the amount of coffee that you brew with to 20g and adding 150g of hot water to the pressed out coffee. If you find the brew to be weak and straw-like, grind your coffee finer. This will increase the surface area of the coffee-particles, allowing the water to extract more flavour. A higher extraction will help to remove the straw-like flavour and increase the strength of your brew. If you find your coffee to be overly bitter and harsh, grind coarser. Lowering the surface area of the coffee-particles will reduce the amount the water extracts. This will help to decrease the level of bitterness and balance out the flavours in the cup. Paper filter = less sediment = more clarity of flavour. Metal filter = more sediment = more texture. Brewing with scales and a timer ensures consistent results so you can enjoy great coffee everyday. Guesswork is for QI. Is a method of brewing coffee that produces a beverage intense in flavour, low in volume, great on it’s own and for mixing with milk. The same general ‘across the board’ rules apply to espresso preparation. Use precise measurements to 0.1 grams. Ensure even distribution of coffee grounds in the basket before a level tamp of adequate pressure to create a seal across the top of the coffee. This seal creates a temporary barrier to the brew water, ensuring even saturation and then extraction. A crooked, incorrectly sized tamp will create uneven extraction. Espresso can be difficult to master and requires expensive equipment to do properly, but with the right technique you can create very delicious beverages. 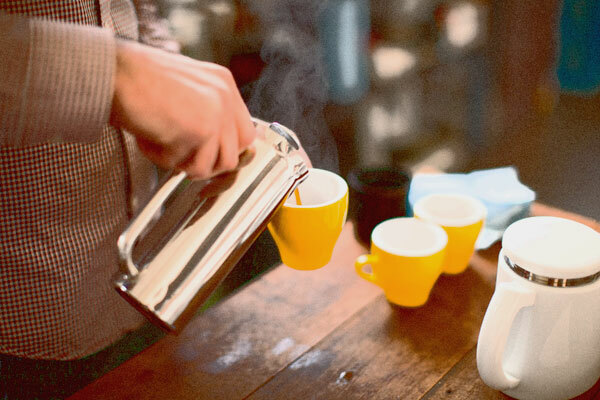 This being said, we wouldn’t encourage purchasing an espresso machine as the first step in your coffee journey, as filter brewing methods can be far more rewarding and a lot less hassle. If you have any questions, please contact us and we will gladly assist you.